The first stage of building Apple’s massive Prineville data centre has started with flattening land for the one of two 338,000 sf buildings. 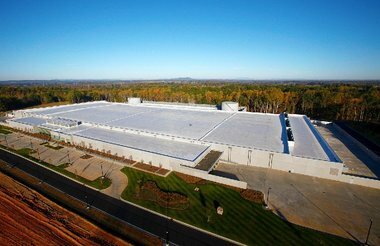 At this point Apple will need to shell out $68 million for one building with two data halls inside, but this is just the start: the company’s plans filed with Crook County and Prineville in 2011 show a second building with additional 14 data halls. 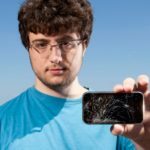 This, however, has just scratched the surface of the total costs, which will reach the height of hundreds of millions when finished and equipped in full to run the iCloud service. Apple has stated that it will only use wind, hydro and geothermal energy to power its new data centre. The Cupertino company paid $5.6 million to Crook County for the 160 acres acquired in February, and rapidly built a 10,000 sf modular data centre on it. 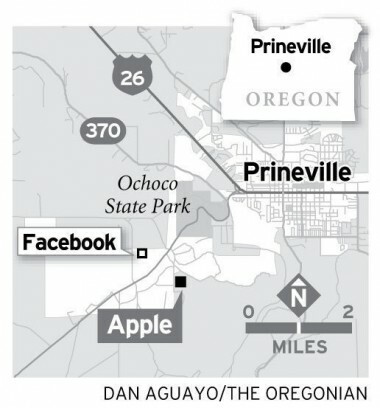 But Apple isn’t the only one building in the area: Facebook’s data centre (opened last year) is right across the street and Google, Adobe, Amazon have chosen the state of Oregon to host their data centers, attracted by moderate prices and hefty tax breaks. iCloud is the most cited reason to build the Prineville data centre: it now has more than 150 million users and growing, with the last 25 million joining in April and July. We will likely hear an updated number during the company’s quarterly earnings scheduled for October 25. Considering these users are running Photo Stream, iCloud backup, accessing iTunes music and video, server demands are certainly high.